Zach Nelson's iPad Pro teardown video was a snap. An 11-inch iPad Pro and Apple Pencil were the focus of what seemed like a routine unboxing video. That is until the host used his bare hands to destroy both devices. 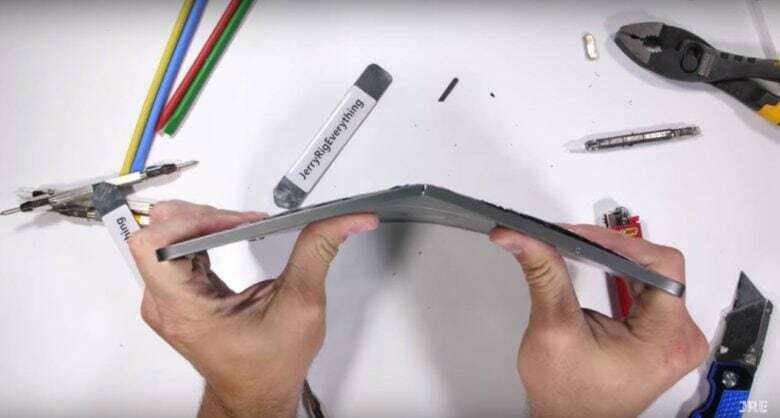 If you’re among the 2.7 million viewers to JerryRigEverything on YouTube, you’ve come to expect the unusual durability tests host Zach Nelson puts to the latest tech gadgets. Think torture scene from Quentin Tarantino’s Reservoir Dogs. It’s that painful to watch. You will squirm, look away and shiver as Nelson begins disrupting pristine designs, first by manually sharpening the tip of the Apple Pencil with a box cutter. Nelson does tear down videos where there’s no hope for reassemble. This might be an iPad art first. 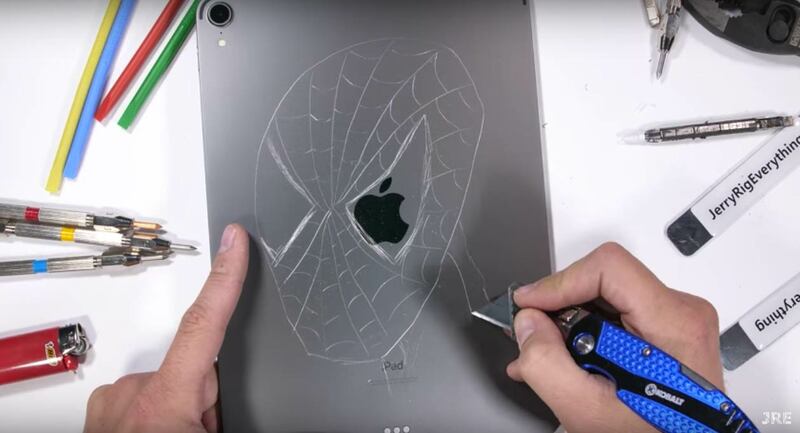 He snaps the Apple Pencil but still manages to use the iPad to draw the face of Spider-Man. But with the pencil broken, Nelson uses a box cutter – to scratch it out on the back plate. He bends the iPad relatively easy, shattering the thin glass screen. “The iPad Pro is a thin, ridgeless aluminum sack with no structure holding things together, like tin foil wrapped around mashed potatoes,” Nelson says.